We carry the finest quality coffin jewelry on the web. This pendant measures 8x10mm and is (aprox) 3cts. It has a very high luster and brilliance and is set in a custom coffin shaped Sterling Silver setting. 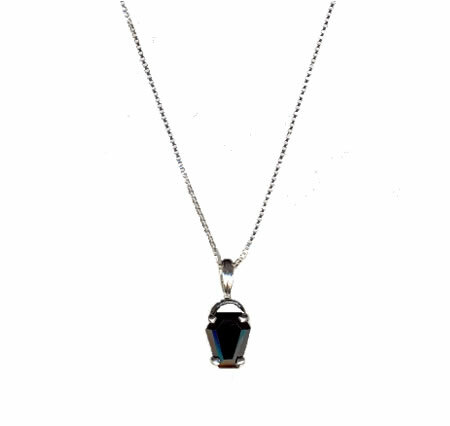 Coffin gem is made from genuine Black Onyx and comes on an 18 inch Venetian box chain also made from Sterling Silver. This is an elegant and timeless piece. Check out our matching Black Onyx coffin earrings and other gothic jewelry!